Quality And Performance To The Max! Takes It To The Next Level And Always Did! Thank you Nike for bringing this line back! Totally eye catching quality and performance to the max is me and what works for me! Best! I demand the best, and I have never found better shoes for running since this particular Air Max line and the longevity they last and last through the conditions! They stopped making years line after 98 and was so disappointed! So glad Nike brought them back! 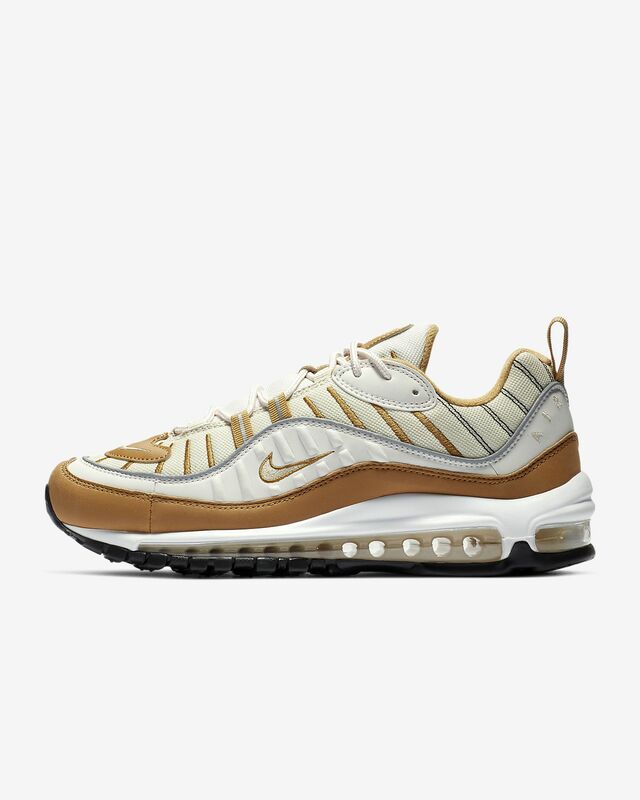 Nike Air Max 98 are amazing shoes for running and walking and other training! I only run wearing Nike, and ran five miles five to six days a week in this line of shoes most days at 5:00 am all over the USA and across the globe in all types of weather snow rain desert sun tropics etc., and shoes NEVER let me down with performance! This Nike line is spectacular on all types of terrain, pavement, dirt, treadmill, going up or down hills, and at the track or in the gym. Shoes offer stability, the beautiful eye catching design, and the performance expert workout! I am a black belt in Tae Kwon Do and need something that takes my outdoor exercise workouts to the max with stability and proper alignment! Really tough about it! Purchased in the Barely Rose/Particle Rose/Reflect Silver/Elemental Rose. Very show stopping! The interior is quality very well made and stable as is the exterior, the cloud like ride can’t be beat with the air, performance can’t be beat winner! Really appreciate the rope-like laces not flimsy like it seems most are made today, love the pinstripe design that is so edgy and classic! Love model year 98 for sentimental reasons as well!!!!!!!!!! The shoes fit true to size, purchase quality, and they are Nike, that says it all! Recommend! For the serious! Thrilled! 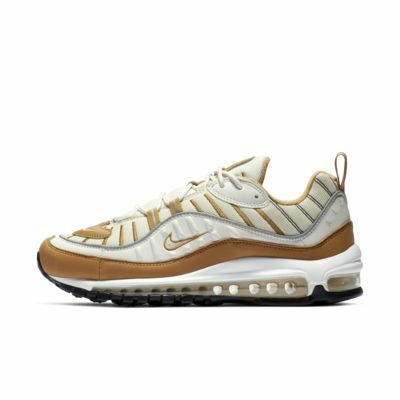 This Nike Air Max line takes it to the next level and always did!